You have got to try this! 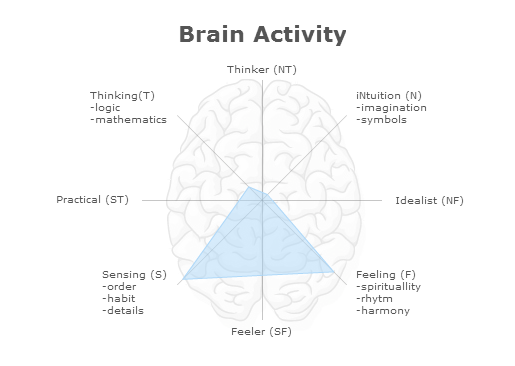 Did you know you could analyze your blog’s personality type? I am willing to bet that everyone has looked up their astrological profile. What’s your sign? See? Does it reflect your personality type? Our idea of who we are may differ from how others see us. I found the coolest site on the internet. Really! After entering a blog’s URL, its author’s personality type will be analyzed or “Typealyzed.” It is based on the blog’s word choice and repetition. I thought, “What the heck. It’s a lot easier than answering a bunch of questions.” I entered the URL of my blog and let it rip! I was very curious to see what it said about my Wild Rider personality type. My hands perspired as my mind raced. I expected to be analyzed as upbeat, but wondered if I could be giving off some kind of weird vibe…. Then this picture popped up and I laughed and kept on laughing until I read the analysis. The author of http://susielindau.com is of the type ESFP. The entertaining and friendly type. They are especially attuned to pleasure and beauty and like to fill their surroundings with soft beautiful textiles, bright colors and sweet smells. They live in the present moment and don´t like to plan ahead – they are always in risk of exhausting themselves. ESFPs love being around people and having new experiences. Living in the here-and-now, they often do not think about long-term effects or the consequences of their actions. I picked up this 5-6 foot snake and then ran into the house to get my camera. ESFPs live in the moment, experiencing life to the fullest. They enjoy people, as well as material comforts. Rarely allowing conventions to interfere with their lives, they find creative ways to meet human needs. Active types, they find pleasure in new experiences. They enjoy work that makes them able to help other people in a concrete and visible way. They tend to avoid conflicts and rarely initiate confrontation – qualities that can make it hard for them in management positions. ESFPs are excellent team players, focused on completing the task at hand with maximum fun and minimum discord. Common satisfying careers: Artist, Performer, Actors, Teacher, Social Worker, Nurse, Event Coordinator, Chef, Fashion Designer, Jeweler, Retail Manager, Recreation Worker and Interior decorator. *Notable ESFJs: John. F. Kennedy, Richard Branson, Hugh Hefner, Deepak Chopra, Paulo Coelho, Quentin Tarantino, Mel Gibson, Justin Bieber, Miley Cyrus, Katy Perry, Lady Gaga, Megan Fox, Jamie Oliver, Robbie Williams, Dan Brown and Chewbacca. Do you see why I was amused? I was amazed at its accuracy. I am always up for something new and do tend to exhaust myself. I’ve also experienced many of the careers on the list in some way, shape or form. 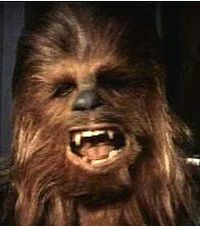 That is quite a list of celebrities with the same personality type, although I can relate to Chewbacca more than Justin Bieber! When I disagreed with the Typealyzer’s assessment of being present centered, my husband Danny asked, “Why do you think I buy you a leather planner every year?” That shocked me. I realized that I tend to wait until the last minute before making plans. Thanks Typealyzer! I found the creator of the program, Mattias Ostmar, through Twitter and then we continued our discussion via email. I love how the social network reduces the size of the world. He lives thousands of miles away in Sweden. “Yes, I invented the Typealyzer. It consists of two parts, lots of text examples of different psychological styles which I’ve collected and refined and a text classification engine built by my friend Jon Kågström. He also created the design for the web page. The original purpose was to see if it was possible to find any personality patterns by using such naïve techniques. It was for my own fun, basically, I had quit my job to take a creative break in life and just do fun stuff of which this prototype was one. I originally considered this whole project to be amateur research and I still do. We´ve actually added the possibility for people to state their personality type according to traditional survey-tests so we can compare the results. I´ve spent the last three years working on different psychological traits such as values and haven´t really given that much love and attention to Myers-Briggs, however I still personally feel that it is a very useful way of exploring one’s talents and pit-falls in social circumstances. Mattias created this program for fun! Jeez. I watch movies and read blog posts for fun. I would guess that we are all mistaken about some aspect of our personality. The Typealyzer is a great tool for understanding how others may perceive us. Click here to be Typealyzed. Enter your blog’s URL and let it rip! Let me know if you were surprised by the results! *I asked Mattias about ESFJs as opposed to ESFPs and he said that was the correct classification of notables since they have a flexible instead of a rigid lifestyle. Hey. He’s the expert! This is rad! Man. The things I never knew about. 😉 Your type is totally you! Mine type is “The Artists”—creative, compassionate, gifted feelers. I definitely see truth in it! I think my previous food/nutrition focus kept the quirkiness/adventurousness score low… I’ll have to check back down the road. So fun, Susie. Thanks! All of the types have positive aspects. I think your profile suits you! I think it is more about word choice and how we use them so I will be curious to know whether yours changes or stays the same. Let me know! Susie, in short, mine said I would be a teacher! It was scarily correct on almost everything! The author of http://kindredspirit23.wordpress.com is of the type ISFP. Common satisfying careers: Fashion Designer, Artists, Interior Designer, Landscape Architect, Nurse, Massage Therapist, Botanist, Teacher, Geologist, Translator, Social Worker, Occupational Therapist, Cosmetologist and Translator. Notable ISFPs: Ulysses S. Grant, Sofia Coppola, David Lynch, Brad Pitt, Michael Jackson, Beyonce, David Beckham, John Travolta, Liv Tylor, Jacqueline Kennedy Onassis, Nero and Wicket the Ewok. Very cool! I think it really fits you! Isn’t it amazing that Mattias wrote this program just for fun? He isn’t even a computer guy! Interesting. I would agree that yours fits what I’ve come to learn/know about you through your blog. Mine came up the same as yours — ESFP, but I don’t think it’s accurate for me at all. I think on my blog I probably project that personality whereas in real life I’m much more reserved. I think I changed. I came up. I came up ESTP. Long time ago I was INFP. There’s no question I’m pushing myself out of my shell, lightening up, going outside more and having more fun, so it’s cool to see that reflected in these results. I submitted my old results but I hope they don’t think their program is wrong because of the variation. Love that you contacted the creator of this and included his comments. I tweeted this post. It rocks. Thanks so much Nia! That is cool that your change showed up in the results! Forgot to mention your very astute observation… this application shows how others see you from your blog posts. That’s very useful. I have two websites. One is literary, and the other is political-economic. I typed in both urls, and the results were dramatically different. Neither were particularly accurate, I must say. You should ask a family member and see what they think. Sometime the actual perception of ourselves can be different from how we think we are perceived. . Also I think that some authors write differently than how they talk and choose their words carefully. Maybe? You make a good point. I can tell you for certain what my family members would say: how on earth did none of Ray’s personality results come up douchebag? Hahaha! I do notice that your comments are more natural sounding and use a lot more “colorful metaphors” than your posts. I write like I talk, so it nailed me. I doubt you are a douche! I got ISTP for Edward Hotspur, and ISFP for Lyrical Anarchy (my poetry blog). But when I’ve taken the test, I’ve gotten different answers each time. I usually get I, but the other three flip back and forth. I would really like to study more about personality types. I have never taken any test, but think that it pretty much nailed me. I write like I talk so maybe that is why it was so accurate. I would think that your poetry would be harder to analyze. The other thing that Mattias -the inventor- said was that most people have a hard time answering the questions. It looks like it got 3 traits consistently between your two blogs! It’s sort of bogus, because it forces you into a bunch of false dichotomies, and I’m more of a balanced person. Woohoo! I’m glad it worked for you. I hope you share my post with your friends! How fun! I ended up being ETSP, a Doer. At first being told I was trying to sell things was a little like, “Hey now…” but I do that! I try to sell being in band to the kids, and I’m trying to convince my readers to buy into my stories 😉 This was fun! Thanks for sharing! That is so interesting! It picked up on those certain words. I wonder if my books were published if my type would change since I would definitely promote them. Love it! Upbeat and positive. I’m glad you tried it out! So that’s interesting… Mine came up dead-opposite my actual MB type on every axis. At first I was like, “well there you are, that’s crap.” but then I realized for it to be off on every part has to say something about my writing as well. Different facets, yes? Totally different. What you are choosing to put out there with your blog in word choice may be very different from your personality. It can very post to post too. Thanks for taking the test! I’m right there with you as an ESFP. 🙂 Very interesting. Thanks for the post and link! I am there with you in the EFSP Performer camp! yay! Ha! We are party girls, for sure! Thanks for swinging by, Lucy. Always great to “see” you!